This is a very good question and one that we hear all the time. Debt Consolidation may increase your credit score, or it may lower it, depending on the status of your current financial situation and what option you use going forward. If you have been declined for credit through your bank or other financial institutions, your Credit Score is most likely already quite low and the only way to go is up as you are repaying your debt. It will depend on whether you opt for a debt management plan or a debt reduction plan. Both options will affect your credit differently and both have different criteria to be eligible. There are many factors that are involved in calculating a persons credit score and payment is just one aspect. 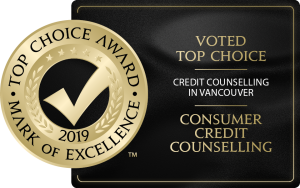 A qualified Credit Counsellor will advise you the best way to minimize the impact on your credit while reducing your total debt to reasonable levels. Your first step in Debt Consolidation is to approach your bank to see if you qualify for a Loan Consolidation. If you have any equity in any assets such as a home or vehicle, you can also use this as collateral to obtain the loan. A single debt consolidation loan can be used to pay off all, or most, of your debt and you would make one monthly payment back to the bank to repay this back. This not only helps to decrease the number of payments you are making but also helps pay back creditors faster. Alternatively, credit card balance transfers can be a viable option to reduce or completely remove high interest charges while payments are made against more of the principal. You will want to check the terms of how long the lower interest rate will be on the new card as at times it may only be 6 months so you would want to ensure you can pay off your debt within that term. If the interest rate is going back up shortly after you do the transfer, you may not want to go this route. Please also note by doing a balance transfer to a new card and new credit may lower your credit score as well if you do this often. Please see What is a Credit Score through our website for more information on new credit. If you do not qualify for any of the loan options, you are at a point where you are not able to obtain further credit as your credit score will be lower and it’s suggested to look into the Debt Management Plan or Debt Reduction option. A Debt Management Plan will be updated on your credit bureau by your Creditors that you have entered into this plan and in most cases will help increase your credit score if you have already been declined for credit through your bank. By consolidating your debt with this route as you are paying down your debt monthly and especially once you pay off each individual creditor the credit bureau’s will see your accounts being paid off which will reflect positively on your credit and show paid in full. Additionally, the fewer total number of debts owed the better especially if they were past due or in collections and now paid in full. Our certified Credit Counsellors will be able to help you with preparing a customized debt management plan. Learn More. A Debt Reduction Plan may negatively affect your credit in the short term, however, long term, you may be far better off with this option if a Debt Management Plan isn’t affordable for you. Debt Reduction Plans (also known as Consumer Proposal Settlements) are negotiations with your creditors to completely remove interest charges and write off a significant portion of the principal of your Debt. Since you are essentially asking to pay back some of your debt and not all your Credit Bureau will be noted as such by your Creditors. This reduction in your credit score however may be significantly less than if you were to continue to miss payments and struggle to pay off your debt and owe to multiple creditors long term. At the end of the day you should still come out ahead. Learn More. There is no one size fits all solution for debt consolidation and management. There are more factors to consider than just your credit score and a credit counselor will be able to explain everything to you in full detail. Please contact us if you have any questions regarding Debt Consolidation and your credit score, reducing or managing your debt, or anything debt related. Learn more on our Debt Counselling FAQ page.